City residents are being given the opportunity to perform alongside professional arts companies at this summer’s Big Feast. Appetite has organised a feast of arts for the weekend of August 28 to August 30. 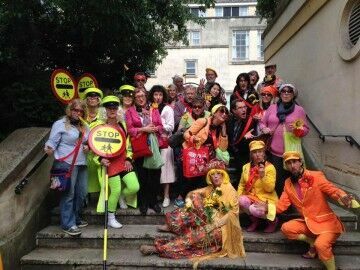 And there is a chance for local people to join performers over the Big Feast weekend. Arts group Red Herring are looking for up to 20 people to join them for Funny Peculiar, a promenade-style performance looking at the quirky and eccentric side of life in the Potteries. The audience will receive a commentary through headphones as the performers lead them on a quirky walking tour. Two weeks before the show, Eccentricity HQ will pop up in Hanley and Red Herring would love people to visit to relay their stories of funny and peculiar characters, history, places and random knowledge of Stoke-on-Trent. The Eccentricity HQ will also be working with libraries, museums, professional and amateur historians to unearth the city’s eccentric past. There is also an opportunity for budding actors to be part of the Funny Peculiar show. Red Herring and Appetite would like to hear from budding performers who want to attend workshops and rehearsals and then perform in the city centre during the Big Feast. To sign up or for more information about the content of the workshops, please contact Theresa Tainton on 01782 381373 by 7 August. Meanwhile, a call has gone out for choir members who will join the highly acclaimed Extraordinary Bodies group at their performance of Weighting. 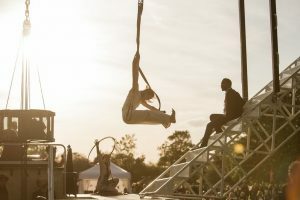 Weighting is an outdoor spectacle combining circus, dance and theatre by integrated circus company Extraordinary Bodies. Weighting tells the extraordinary story of an ordinary family living in a grey world of routine and simplicity. Across a bridge, the world is full of colour, excitement and music, however to get to the other side the family have to risk everything. The Extraordinary Bodies company includes leading disabled and non-disabled dancers, actors and circus performers. 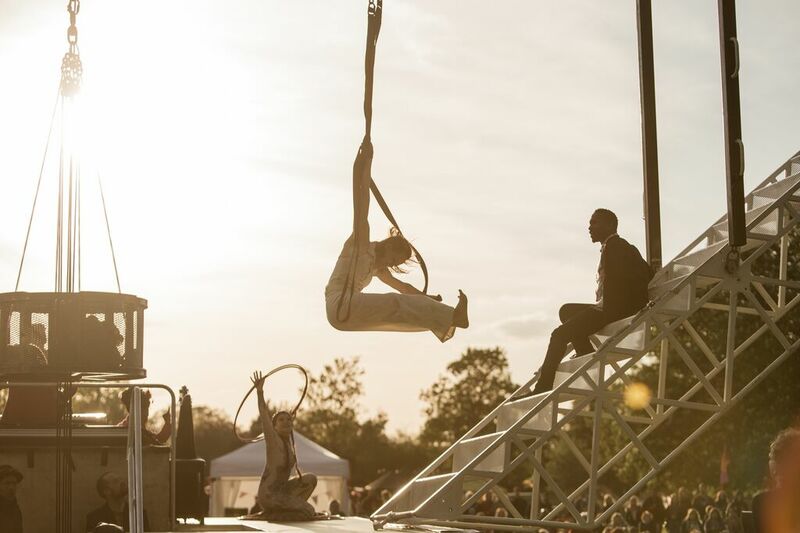 The cast of Weighting take to the air on a huge transformative set in a joyful exploration of equilibrium and balance. They are accompanied by a five-piece band playing a beautiful original score and backed by a 100-strong local community choir. “Participation in the choir is open to anyone. We are looking for performers from all age groups and people with any kind of disability or none,” said Gary Cicinskas of Appetite. There will be three rehearsal days at the New Vic Theatre, Basford, on successive Saturdays. These will take place on 8 August and 15 August, between 10.30am and 1pm and 1.30pm and 4pm; then on Saturday, 22 August between 1pm and 3.30pm. Potential participants must be able to attend the final rehearsal on 22 August and should try to attend as many sessions as they can. For further information on how to get involved with either Red Herring or Extraordinary Bodies please contact Theresa Tainton 01782 381373 or email: theresa@appetitestoke.co.uk. For further information on Appetite contact Karl Greenwood, Project Director. Telephone 01782 381373 (ext 310) or email karl@appetitestoke.co.uk.